Cahir's Stephen Ryan is living with Duchenne muscular dystrophy. A Tipperary man with Duchenne muscular dystrophy is determined to defy all odds and fulfill his bucket list. 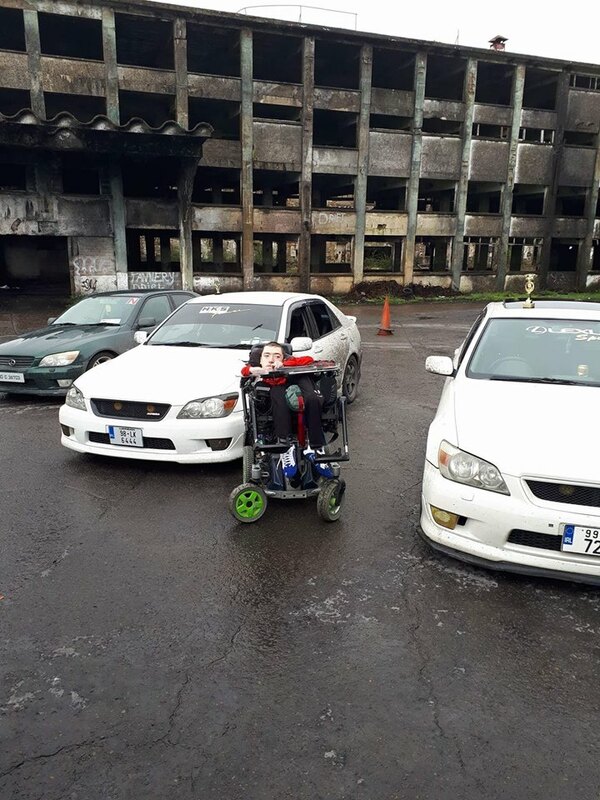 Having already ticked off going to a Liverpool FC match at Anfield, finishing the Cork City Marathon, building a rally car, and owning a hot rod and tractor, Stephen Ryan is really getting the wheels in motion and will hold a bake sale at Cahir Day Care Centre on Sunday 29th April at 11:30am to help him on his journey. Stephen, the son of Donal and Nicola (née Kirwan) from Knockgraffon, has been in a wheelchair since the age of six. He was in primary school in Cashel when he suddenly lost the ability to walk. Despite being wheelchair bound, he is dreaming of landing a job working with computers in the future. He completed secondary school at Cashel Community School and more recently a course in computers at CTI in Clonmel to boost his career prospects. He also has work experience at Morrison BMW (Cahir), Jim Strang and Sons (Kilsheelan), and Kentz Group (Clonmel) on his growing CV. “Living with Duchenne muscular dystrophy is my way of life. I got on great in school and made many friends. My friends are always asking me to do them up CVs, make cards and give them tips on using computers,” Stephen tells The Nationalist. Stephen’s mother Nicola lost her brothers Dermot, Christopher and Kevin - all aged between 14 and 16 - in the space of 13 months to Duchenne muscular dystrophy, a condition that results in progressive weakness and loss of muscle mass. But Nicola is optimistic about Stephen's future, crediting the advancement of technology and treatments for the condition. Nicola proudly recalls her husband Donal pushing Stephen across the finish line at the Cork City Marathon last June. “It was a great moment, and going to the Liverpool and Burnley match at Anfield last season was brilliant too because it took us years to get tickets,” she smiles. 22-year-old Stephen can no longer travel by plane because of his curved back, but would love to go on a holiday with his family that caters for his needs. He is hoping that the public will support the bake sale on Sunday 29th April and help make his dreams a reality. "I am trying to raise money to get more assistive technology. I also want to design and own a show truck and to follow more of my motorsport passions. You have no idea how grateful I would be if I could actually do this," Stephen adds. Stephen Ryan is passionate about motorsport.